Patna : Amid reports of rift over seats, the 'Mahagathbandhan' on Friday announced seat-share pact and candidates for the next month's Lok Sabha Elections 2019. 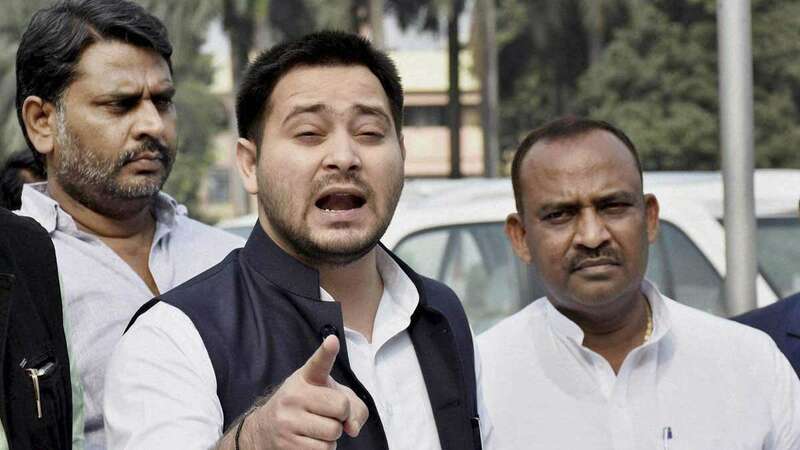 RJD leader Tejashwi Yadav rubbished reports of alliance breakdown and said that the pact is "unbreakable". The Rashtriya Janata Dal (RJD) will be contesting on 19 seats, Congress will be fighting for nine seats and Rashtriya Lok Samata Party (RLSP) will contest for five. Interestingly, Congress has been given the Patna Sahib seat from where Shatrughan Sinha fights. Mr Sinha had announced that he will quit Bharatiya Janata Party and will be joining the Congress soon. Shatrughan Sinha's exit announcement came hours after BJP snubbed him and announced union minister Ravi Shankar Prasad’s name from the Patna Sahib seat. The actor-turned-politician is now likely to contest from the same seat as a Congress candidate. Tejashwi Yadav's sister Misa Bharti will be contesting the elections from Pataliputra. Sharad Yadav, a former leader of Bihar Chief Minister Nitish Kumar's Janata Dal (United), will contest from Madhepura. Sharad Yadav was expelled from the JD(U) for objecting to Nitish Kumar's decision to dump the RJD and revive ties with the BJP. Bihar will be voting in all seven phases of the Lok Sabha Elections 2019.